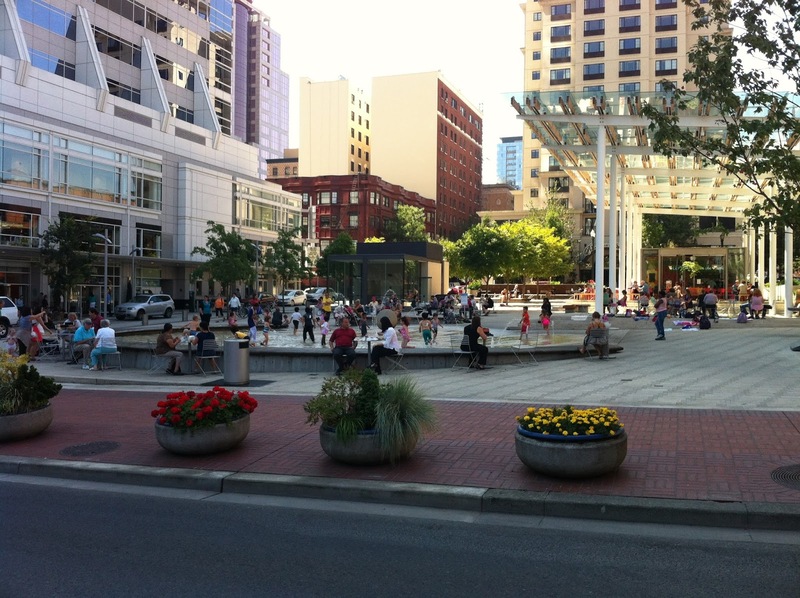 At long last, vacation time has come and I’m back in one of my favorite cities–Portland, Oregon: land of microbrews, sustainable agriculture and generally fabulous quirkiness. The header photo on this blog was actually taken last year at the Portland Farmer’s Market and I cannot wait to go there this Saturday! We have traveled to Portland three summers in a row to visit friends and love to discover new places as well as revisit places from our prior trips. I spent the majority of today wandering the streets and drinking in the local flavor. 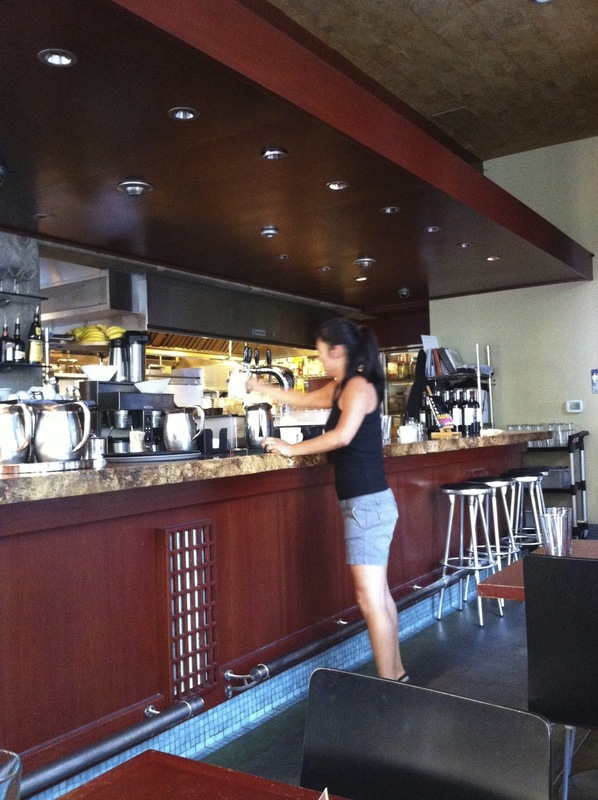 We started out with a really great breakfast at a favorite spot in the Pearl District called Isabel. What we like about it is that they have a lot of healthier options that will keep you filled up and energized for an entire day of walking around town. 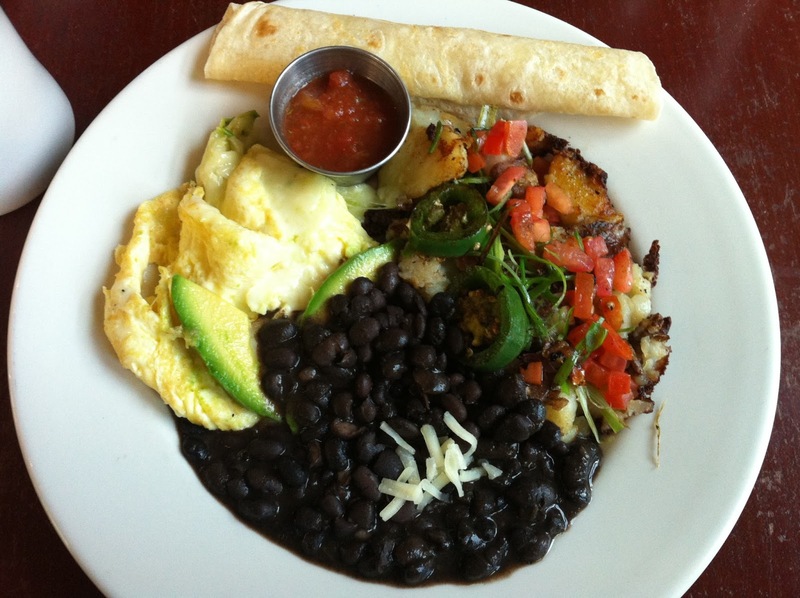 I had the “avocado scramble”–eggs, avocados, black beans, rosemary potatoes and salsa. Even though it’s filling, it’s pretty healthy and therefore, almost guilt-free! The only problem with having such a good breakfast is that it took a while to burn it off before I was ready to find some more fun food to munch on. So, I walked all over the place! 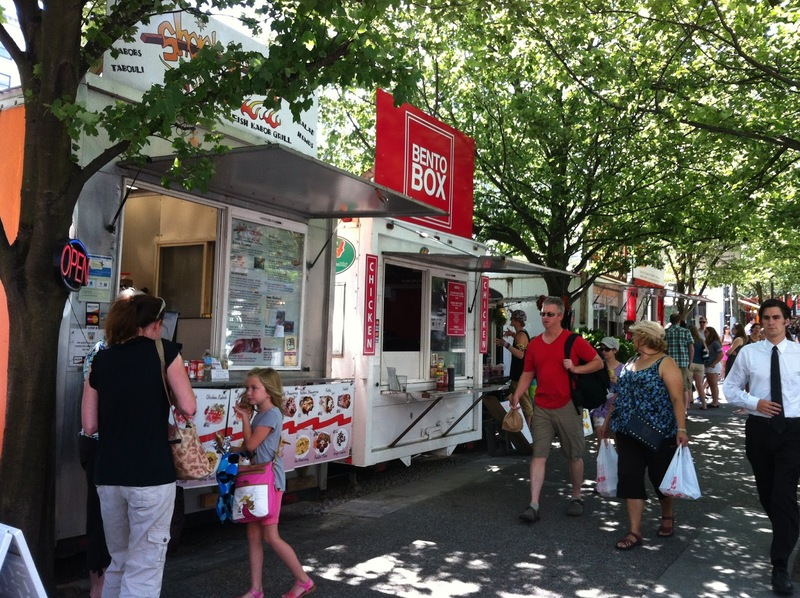 One of the most interesting things in Downtown Portland are the food carts. 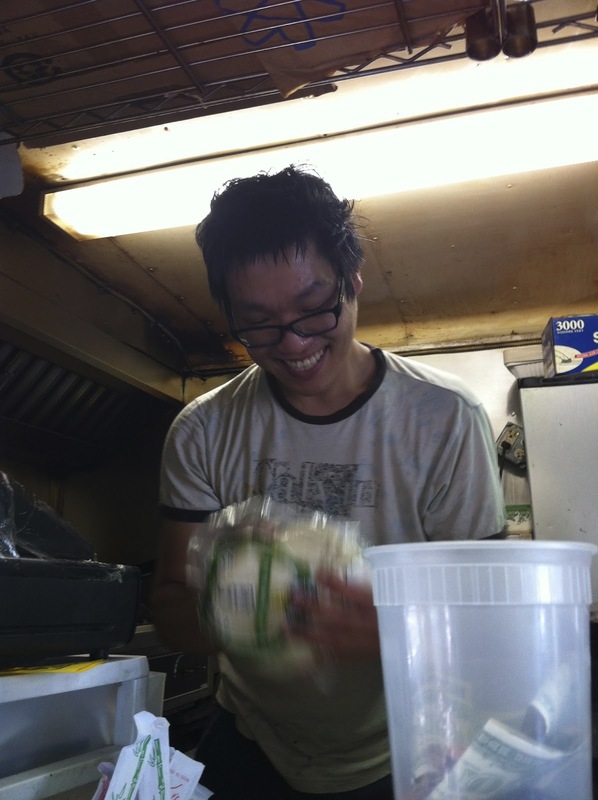 There are small clusters of them all over the place and they have absolutely amazing fare. 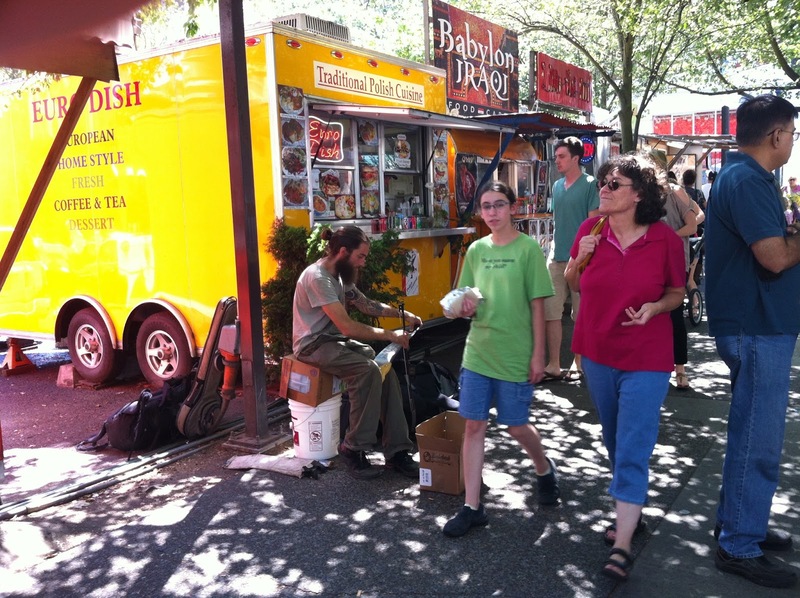 Quintessential Portland: Food Carts and a guy playing a saw! 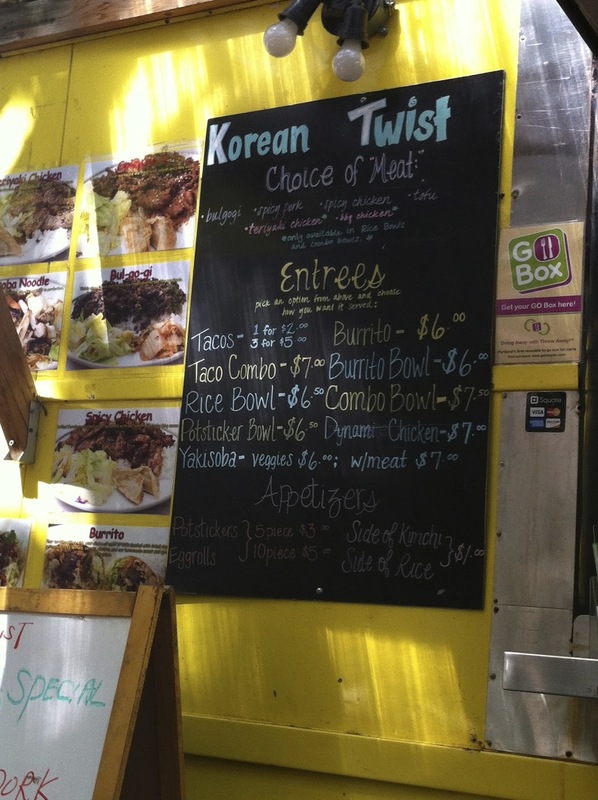 Once I walked enough to get hungry again, I had the most amazing bulgogi taco from a cart called “Korean Twist” on SW 5th Avenue. 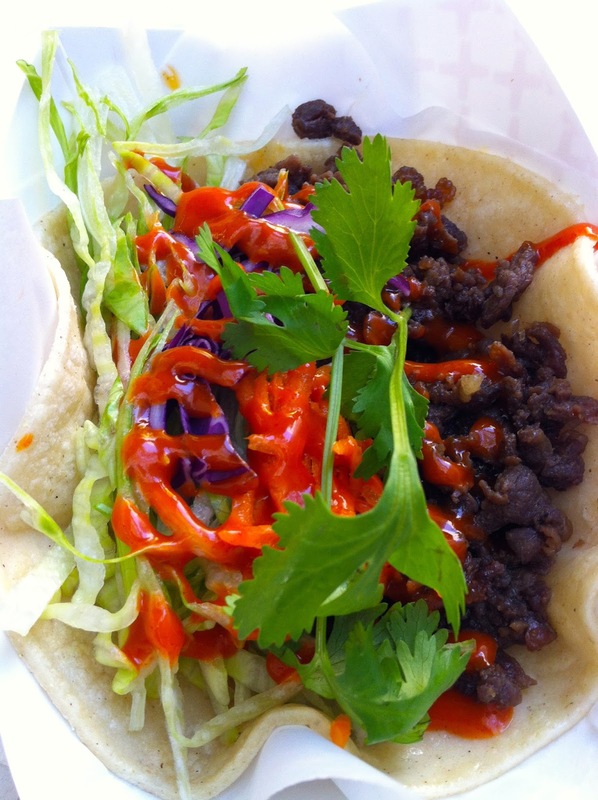 The beef was tender and well seasoned and topped with fresh slaw, cilantro and their house special sauce! Best $2 spent all day! 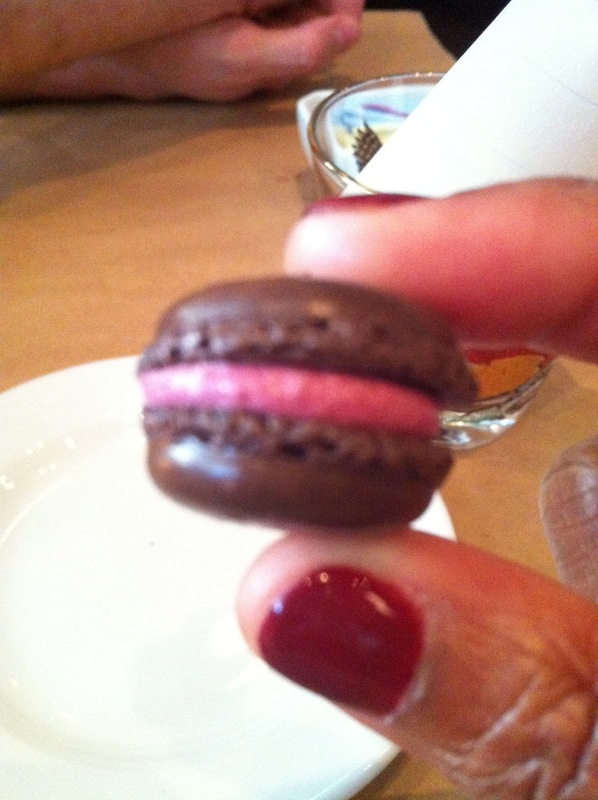 While searching for an entirely different restaurant, I was drawn in by the sight of a baking tray of macarons in the window and discovered this lovely French restaurant called Little Bird Bistro. We came back later for dinner and enjoyed an assortment of amazing appetizers. We started with a dozen of the freshest oysters I’ve ever had! One half dozen were called Shigoku, from Washington and the other half, the ones with the fluted shells, were called Netarts, from Oregon. 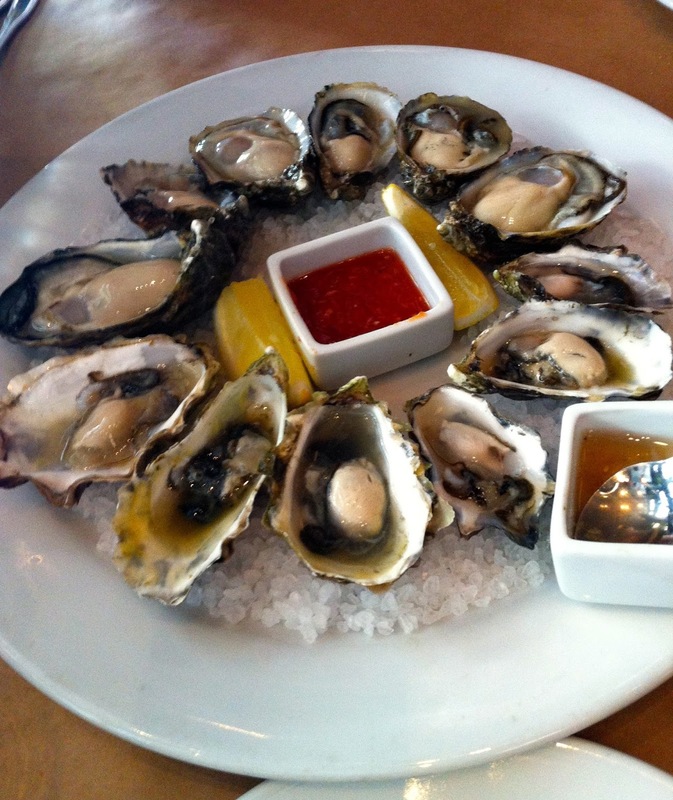 They were sweet, tender and had the subtlest flavor of the ocean. 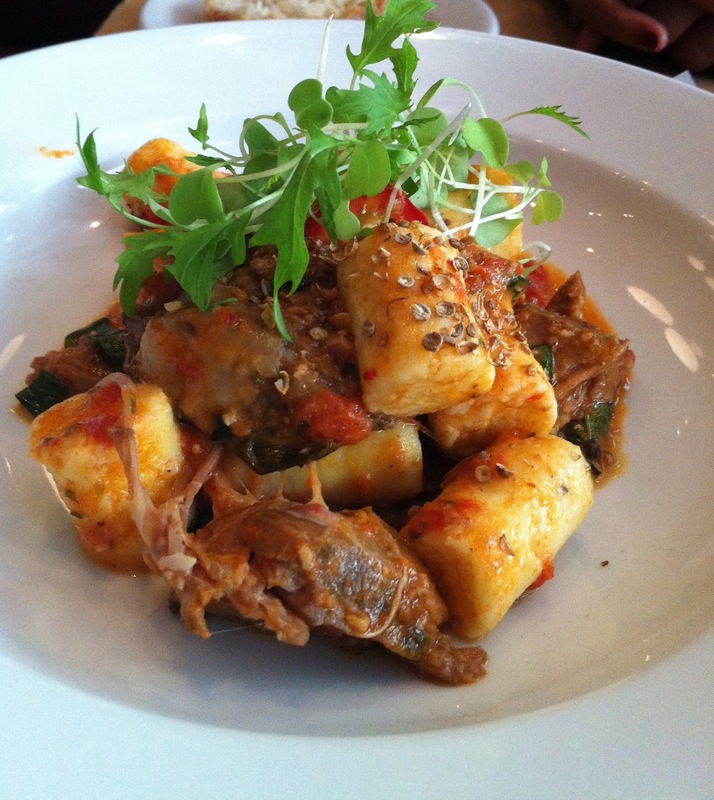 Next we ordered the goat cheese gnocchi with lamb necks, peppers and mint. The flavor was incredibly complex: the peppers added a bit of heat, balanced by the creaminess of the goat cheese gnocchi. I could have eaten another plate of this! 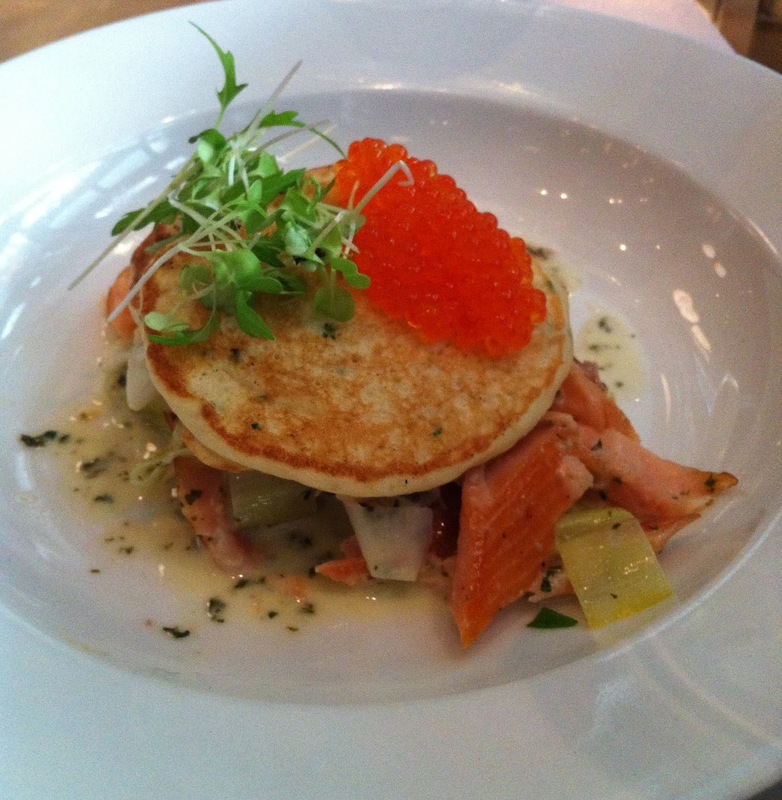 Another incredible dish was the smoked trout with creamed leeks, buttermilk blini and trout roe. If it weren’t poor form, I would have licked the plate! We ended our evening at Little Bird with a dish of fig and butter pecan ice cream followed by those tiny little macarons that caught my eye earlier! What a great day! I can’t wait to see what I find tomorrow!